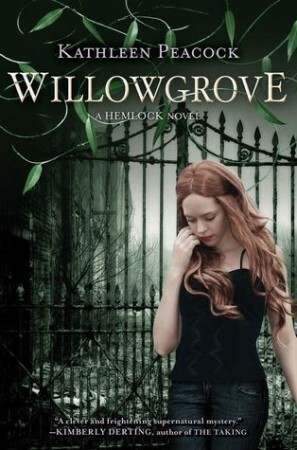 Willowgrove is Kathleen Peacock's riveting conclusion to the Hemlock trilogy, a dark, romantic, paranormal suspense series that pits friendship against survival, and trust against love. Ever since Mac's best friend, Amy, was murdered, Hemlock has been a dangerous place. But now that Mac, her boyfriend, Kyle, and Amy's ex, Jason, have investigated a mass breakout from Thornhill, a werewolf "rehabilitation" camp, the danger has only grown. Fear of the infection spreading is now at an all-time high, and anyone with a scar is suspected of being a wolf. What makes Mac even more afraid, though, are the dark experiments that the warden of Thornhill was performing on wolves in a secret asylum called Willowgrove. Uncovering the truth about what happened may be the only way for Mac to save everyone she loves and end her nightmares for good. One of my favourite paranormal series has come to an end, and I’m thrilled to say that it ended well! I was a bit scared of reading Willowgrove after being forced to chug through some terrible series-enders (looking at you, Ruin & Rising) but Kathleen Peacock pulled everything off pretty well and it reached a nice conclusion. The characters we love are back in Hemlock after experiencing much trauma at Thornhill. There have been a lot of changes since the gang left their home town, and everything feels the same but also a little bit off. Mac remains awesome, and is keeping those Veronica Mars parallels going full throttle. I really liked her in this book, as I did in the previous two, although I thought that the focus could have been more on her character than on the plot. There wasn’t much of a balance when it came to character growth and that was a little disappointing. Mac is pretty much the same as she was in the first book, but I can forgive that because Hemlock!Mac is amazing. As for Kyle… he doesn’t do much for me any more. I think I shipped him and Mac in the first book and for half of the second, but then something else came and swept me off my feet. Kyle is a bit of a Stefan, if I’m honest. DON’T KILL ME, TATUM! The other half of my ship, on the other hand, is a Logan Echolls and I love he-who-will-not-be-named lots. His character growth throughout the series has been EPIC, but I’m a little sad about the way his story wrapped up. 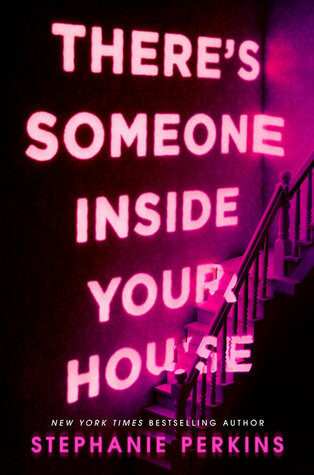 Particularly in the romance area. Cough. The ending was a giant thrill-ride. I had no idea where anything was going to go, and the scene was pretty chaotic so I spent the entire time worrying about my favourite characters. I loved this because it kept me on the edge of my seat. I’m really happy with the way this trilogy has wrapped up, especially after reading the epilogue. While I would have preferred the romance to go a completely different way, I am still glad that certain characters are happy. It’s very hard to review the final book in a series because I desperately don’t want to spoil anybody, so I’m going to leave my review here. I haven’t read those books, but that cover is gorgeous!